Our company was built to provide products faster than the competition. Our goal is to provide the best customer service in both the quality of our product and timely delivery. ASAP Industries Manufacturing, based in Houma, LA, is one of the largest machine shops along the Gulf Coast. ASAP has been providing custom machining services to the Oil & Gas Industry since 2003. 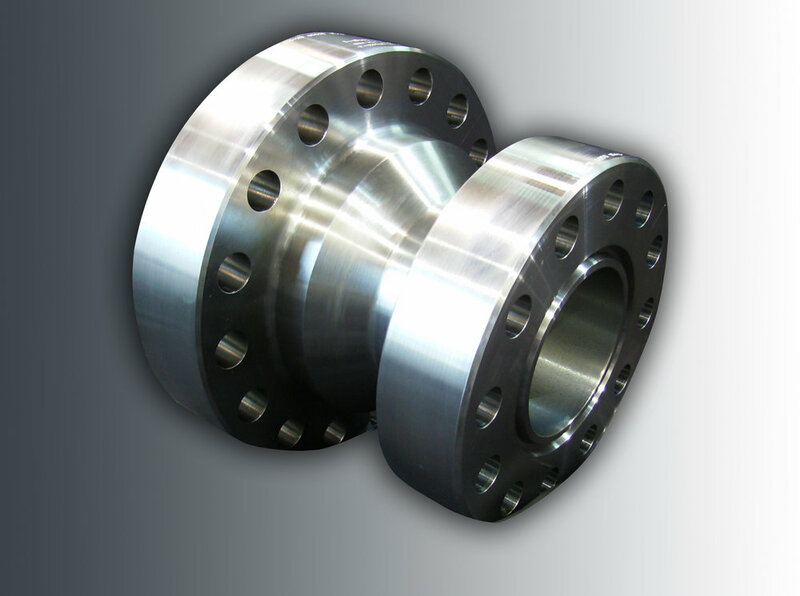 ASAP has established its reputation in being a quick-turn manufacturer of high quality products, such as, flanges, spools, and adapters in small to large diameters. ASAP is the premier turnkey supplier to our industry, by maintaining a large raw material inventory and providing pick-up and delivery along the Louisiana coast to Houston, TX and the surrounding areas. We also provide repair and recertification services for select land BOP’s and large diameter spools and adapters. Our capabilities also include welding, pressure testing, NDE, assembly, and inspection. ASAP Industries Manufacturing manufactures high quality surface and wellhead equipment, such as, flanges, adapters, spools, sand separators, and plug catchers. With our large Machine Tool profile, and the most talented, experienced and customer-focused manufacturing organization on the Gulf Coast, ASAP Industries Manufacturing offers a broad range of custom machining and manufacturing capabilities to meet the demands and expectations of our customers throughout the Oil & Gas Industry. ASAP's welding capabilities are some of the most advanced in the industry. We have developed a large inventory of procedures that allow us to weld even the most demanding high and low alloys with SMAW (stick), GTAW (tig), SAW (subarc), GMAW (mig), and Robotic GMAW (robotic mig). Many customers rely on ASAP for quick turnaround service for critical projects. We've worked hard to establish our reputation as a "go to" supplier capable of consistently meeting the most aggressive delivery schedules. But outstanding quality and competitive prices are every bit as important in today's business climate. ASAP Industries, LLC is located in Houma, Louisiana. We serve Louisiana, Texas, the entire Gulf Coast region, and our products have been delivered around the globe. Asap Industries is a machine shop serving the entire Gulf Coast region. We are a key vendor for many large oilfield companies in our industry. Safety is no accident. Creating and maintaining a safe workplace environment is everyone's responsibility. ASAP Industries is committed to the continual improvement of workplace and workforce safety throughout all company facilities. The Safety Program at ASAP is designed to educate employees in safe work practices and to consistently maintain a positive safety culture throughout our business. Every new employee completes a comprehensive Safety Initiation before they enter the workplace, regardless of their position. All employees are fully trained in our EHS (Environmental, Health, & Safety) policies, procedures and PPE. Every visitor to ASAP receives a Visitor Safety Initiation to ensure their personal safety while in our facilities. Every employee – and visitors alike – have Stop Work Authority, in the event they see any activity they believe creates a safety threat of any kind. Our disciplined approach demonstrates a continuing commitment to protect employee health and safety, and extends to the local environment in which we conduct our operations. Our safety policies and on-going training, along with Weekly and Monthly Safety Meetings and our Employee Safety Committee, ensure ASAP maintains not only a safe workplace, but an educated and safety-focused workforce, as well.